What is World Health Day? Why do we celebrate world health day? So, how can someone stay healthy? We are all aware about the fact “Health is wealth”. Good access to healthcare is not available to all humans on our planet. People living in remote parts of the world have very less access to basic facilities in health care. So, every year on the 7th of April, The world health organization with the support from its member nations celebrates world health day. The day is celebrated to spread information and awareness about the importance of health to human beings. On a global scale, world health day is celebrated every year with a specific theme. The theme brings out an underlying issue to the core and focuses the strategies of the current year on the particular theme. Issues and features listed with the theme are addressed throughout the year of operation. It was in the year 1948 that WHO decided to celebrate the first big event in the name of healthcare, but it was titled ‘World Health Assembly’. Never was such an assembly conducted before that by WHO. It was for the first time that such a thing was taking place and drew crowds and participants across the globe. Soon, in 1950, the first world health day was celebrated. The main theme on which the world health day will be celebrated in 2018 is termed as ‘Universal Healthcare’. Implementing strategies that build a framework to make healthcare accessible to all the regions of the world is the primary focus of WHO. It has received worldwide attention from global concerns in implementing many related programs and has made healthcare reach the doorsteps of common man today. Any theme that is worked out for a specific year is a turnaround and a take-away from this global prospect. Many dignitaries in the WHO admire countries that have a strong support for healthcare of its citizens. These experts believe that a country can progress only when its citizens lead a healthy and happy life. To achieve healthcare at greater levels, the political leaders who implement policies in the country should be willing to do so. In other words, where there is formulation of strong policies related to basic and primary healthcare, the progress of that nation could be achieved on another level. WHO has also observed that over the years, countries come up with various healthcare plans for its citizens in their annual budgets. But poor implementation leads to these plans being sacked or never being implemented at all. So, realistic steps and achievable goals are thus the need of the hour. A model that will help sustain growth and development in the healthcare sector will successfully implement these strategies with a futuristic vision. The focus areas of World Health Day 2018 are easy access to quality healthcare, improving the life expectancy of people and population in general, addressing issues of maternal health care, making healthcare affordable, putting an end to epidemic diseases, concentrating on healthcare of children, addressing malnutrition, ensuring supply of nutritious food in poverty stricken economies and helping nations that have huge bowls of hunger population in them. The primary motivation for quality healthcare should reach out to governmental agencies that would make huge investments in healthcare and focus their strategies on health insurance providers and other related policy makers. Various events with healthcare themes carrying the messages of universal healthcare are slated to be addressed to the global public at the WHO with the primary focus on healthcare for everyone and anyone. Messages are already being posted at various healthcare forums regarding the importance and significance of universal healthcare. The theme chosen for a year is made sure to be implemented throughout that year. Policies and strategies that are created would be based on the theme for the current year. Many years ago, polio eradication was chosen as the theme for the celebration. So, every step was taken to ensure that maximum coverage was achieved in every country in terms of administering polio vaccination to children. Likewise, based on the theme set for the year, lectures and discussions are held at WHO and its entire member nations to build strategies on the selected theme. The whole agenda of discussion is moved to debating on how the theme could be turned into a realistic project. Discussion with health experts, global leaders, head of nations etc are carried out to know the comprehensive view in regard to the theme. Posters, cut outs, banners are created and popularized at various points. Several awareness campaigns are carried out which meet the specific goals of the theme. Health care centers are given handouts that talk about the specific project on the theme. Students are also encouraged to participate in various activities that highlight the theme. Quizzes, debates and discussion forums are common places of bringing out the topic in the open. Online advertisements, advertisements through television channels and on social media pages are sent out to mark the significance of the day. Messages are also spread in hospitals and educational institutions about the necessity of healthcare. At many rural areas, people are gathered at a point and they are educated about the need to gain access to good healthcare facilities for farmers. Demonstrations and marches carrying placards and shouting slogans are also carried out by students on this important day. World health day is not a localized event. Every year it is carried out on a global level and receives global support from all the member nations of WHO. According to research and estimates carried out by WHO, a large population of the world is suffering from ill health. Ill-health in this respect could mean both physical and mental health and well-being. 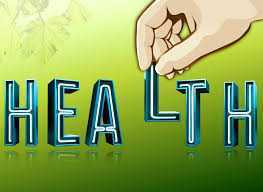 General ill-health is the major cause of many fatal diseases of mankind. So, there needs to be some kind of global wake up call to address these health care concerns. That is possible only on a structural, globalized platform that can bring about a drastic change with immediate effect. This unique platform is thus provided by the WHO on world health day, every year on the 7th of April. Every nation talks about sustainable health care models, but very few are actually in place. So, to address the issues and concerns of nations, to find out what stops them from implementing bigger healthcare infrastructures in their operational regions, the world health day is celebrated. Countries that require financial aid and support towards affordable healthcare are helped achieve the same. Hence, the day signifies a whole perspective of healthcare on a global level. General guidelines apart from the chosen theme are presented every year and the day is definitely a very important day in the calendar of events followed for every year. Depression – the theme that was the point of focus of world health day 2017. Depression is related to a kind of mental illness, wherein the mind of the affected person seems disturbed and imbalanced due to internal stress and unable to cope up with reality. The person may experience a total disconnection from the world around him and may be lost in his own thoughts. Depression is also cited as one of the main reasons people resort to suicides. Depression could affect every age group- from tiny tots to elders in their ripe old ages. It is not age specific. The range of persons affected by this disease is huge. But the good point is, depression is very much treatable and the right kind of help and approach would lead one to counsel the patient better and achieve good improvements in obtaining treatment for the same. Depression is usually associated with dullness, boredom, even in carrying out daily tasks, not being able to enjoy life, unable to be happy, change in behavior, eating habits, sleeping patterns, change in the way a person communicates etc. A person could either eat too little or eat too much when he is in depression. This condition happens when he is not able to judge his hunger levels, but blindly takes in food not considering the signals sent from his appetite for want of food. The campaign to treat depression aims to openly discuss the issue among people. It aims to reach out to people who may be in need of help and counseling. It aims to lend a helping hand to families which are dealing with patients of depression in their homes. Trying to identify patients with depression, helping them tackle the illness, provide treatment and solutions, carry out counseling sessions from time to time and bringing the person to normalcy are some of the activities that the organization plans to do as part of the theme. Most of the low income and middle income grouped countries are seeing a drastic increase in the rise of diabetes cases throughout the world. The occurrence of type 2 diabetes is highly prevalent among these groups of population. Type 2 diabetes is specifically linked to individual lifestyle choices. Therefore type 2 diabetes could be prevented before its occurrence by spreading proper awareness among these countries. The notion of diabetes being an illness for a lifetime is a big myth. Diabetes is indeed treatable with correct measures. Spreading awareness about managing diabetes right from detecting the presence of diabetes in a person, managing health through proper lifestyle practices plus medications, accessing affordable healthcare. To bring in participation of governmental agencies, volunteers, public healthcare centers, agencies to help spread information about diabetes as a preventable and curable disease. Supportive framework to strengthen ties with member countries to educate people about its consequences. The risk of other complications arising from diabetes, whether they are fatal/treatable or non treatable. A comprehensive manageable solution for diabetes. Respected dignitaries on stage, a very good morning to everyone. I welcome our notable chief guest of the day, our guest speaker, beloved principal, staff and my dear friends. We have gathered here to know more about the world health day which is celebrated on the 7th of April every year. It is an annual day celebrated to address concerns of global healthcare. World health day is organized by the WHO with support from member nations around the world. On this day, a specific theme is brought out every year and made sure to implement the scheme throughout the working of that year. To bring into action the theme chosen for the year, implementation strategies and sustainable models are developed over a wide range of discussions, debates, open talk forums, etc. Global healthcare experts voice their opinions regarding health care concerns at the primary level and higher levels. The most important concern discussed every year is about making healthcare accessible to each and every person in this world. Usually people in remote parts of the world have very less access to quality healthcare. For them, there are separate streamlines that address the issue of sustainable growth infrastructures based on healthcare aspects. Models are designed, developed and implemented across different parts of the world. On a more generic thought, the WHO discusses basic issues of healthcare. These issues and concerns are common and exist everywhere. Lifestyle disorders like sedentary lifestyles, eating junk foods, etc are known to everyone. Yet, a very small percentage takes up initiatives to transform individual lifestyles to bring about a healthy change. 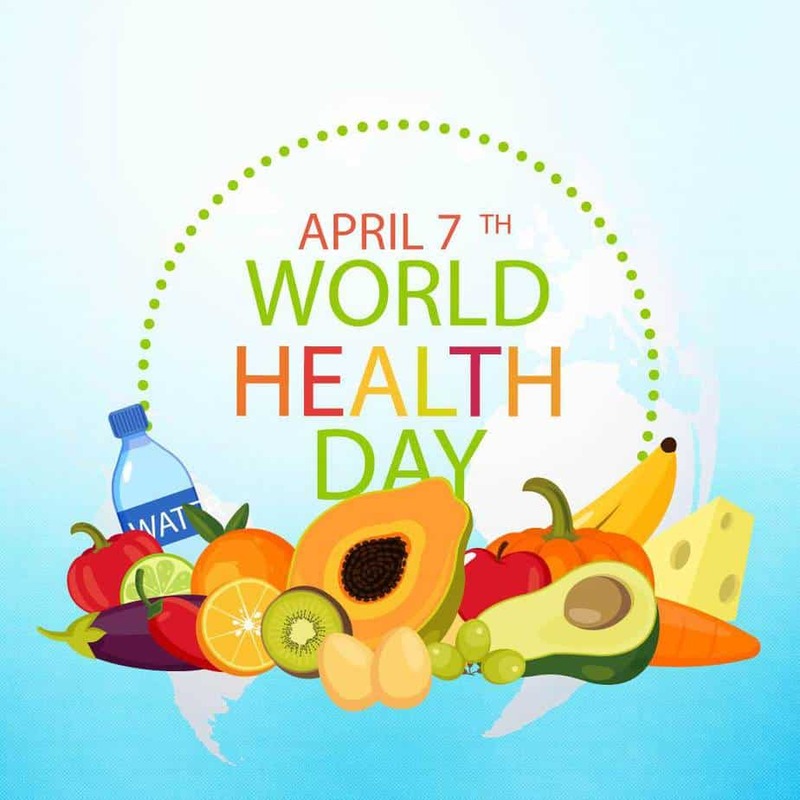 The world health day is a day full of activity, messages are posted across various platforms, awareness created through public marches and demonstrations. Advertisements are posted on channels to publicize healthy eating and living habits. Childhood, maternal care and good measures for child growth and development are significantly discussed. Malnutrition together with poverty is a common issue in most of the hunger stricken countries of the world. Making financial aids reach economically backward sections of the world in the right place at the right time is also a big task undertaken by WHO in this regard. Implementations of good healthcare practices in its member nations, combating lifestyle diseases, inducing healthy living practices and approaching healthcare by developing a holistic view about fitness and care is substantiated. Effective implementation tools and developmental models are stressed on, for the overall growth and development of a nation. “Health is a state of complete physical, mental and social wellbeing, and not merely the absence of disease or infirmity.” – World Health Organization, 1948. “ Eat healthy, think healthy, live healthy, life is all about a good state of mind in a happy space”. “ Health is more important than anything else in the world, without health there is no other wealth”. “ Your lifestyle decides your choice of health. Never compromise good health for anything in this world”. “ Everything under the sun can be accomplished by a hale and hearty soul. Health creates opportunities for well being and prosperity”. “ Eat right, Stay fit and live bright”. “ Your health is your key to prosperity”. “ Aim for good health and holistic living”. “ Sound health, abundant wealth”. “ Prioritize health, not wealth”. The first world health assembly was celebrated in the year 1948. The first world health day celebration was conducted on the 22nd of April in the year 1949. New Zealand came forward to show the world about how celebrations could be carried on and other countries followed suit. WHO started publishing documents and chronicles regarding battles it fought against deadly epidemics in India, Italy, Greece and Afghanistan. From there, the world came to recognize their efforts and celebrated the day with a positive light. The next project in line was to popularize the day by issuing postage stamps commemorating the significance of world health day. From 1950 onwards, it was decided that the world health day would be celebrated annually on the 7th of April every year. It was decided to set a theme for the annually conducted meet. The theme was to act as a long term objective for the WHO. The WHO had to then look into the long term implementations of the theme decided on the world health day with sustainable projects. Health is the most important aspect of a person’s life. It is also one of the most neglected aspects of human life. If we are hale and hearty, we usually tend to neglect our health. We focus on our health only when there is an issue associated it. To make healthy living part of our everyday activity, stress and focus has to be placed on it. This is brought about by the awareness programs of WHO. The developing countries need a mentor like the WHO, who could be an effective contributor towards developing comprehensive healthcare solutions for the entire nations and carry out successful implementations of global health projects. To bring healthcare to the doors of every citizen, developing countries need financial aid and supportive framework in the form of a global organization who will effectively guide them and make healthcare an affordable matter for them. Healthcare is not about costly gadgets providing fitness and lifestyle improvisations to a select society. The focus is on making primary and basic healthcare reach out to those millions who are in dire need of them. Basic rules of living – maintaining hygiene, cleanliness, good health in terms of nourished food, eating right, sleeping correctly, maintaining mental health etc are some of the basic concerns addressed. Providing theme based solutions to diseases with a different approach towards the prevention of the disease is a unique contribution that is possible only by a globally placed organization. Providing solutions in real time and understanding needs for a healthy living are some of the ground root necessities that are addressed successfully and changes implemented effectively. Exercise Regularly: Exercising regularly has proven to impact the human body in a very positive way. Exercising increases the blood circulation, helps in maintaining the overall balance of the body. Running every day or doing Cardio exercises promote a better heart health. Having a balanced diet: A balanced diet is defined as a diet which consists of all necessary carbohydrates, fats, proteins, vitamins and mineral sources. Having a balanced diet ensures the amount of necessary calories a person is taking in addition to keeping healthy. Drink a lot of water: Drinking water also falls under the maintenance of a healthy lifestyle. Water flushes out the toxic substances from our body keeping it fresh and energetic. As we have seen, mental ailments such as depression has increased a lot in the past few decades. Hence, it is important to maintain an overall mental health too. Meditation helps a person to focus better, stay calm, refreshed and energized. Avoid regular smoking, alcohol and drugs. In addition to disrupt the physical health, these things also disrupt the mental health of the body. Take vaccinations regularly: Vaccinations are a type of ‘training’ one can provide to the body’s immune system. Taking vaccinations on regular intervals, specially the ‘booster doses’ helps one to stay immunized and thus live a healthy life. We all live in a world that is fast paced and render most of our outcomes in a stress filled environment. Be it small children, women or men, everybody faces health issues at some or the other time. Looking up to someone who can spread messages regarding right ways of living, understanding basics of our health, guiding us on good lifestyle practices can be achieved by a dedicated and motivated organization like WHO. The importance of world health day can be fully realized if we bring in small changes in our everyday health and also join in their campaigns to educate people about healthy living and preventable diseases that occur on account of bad lifestyle practices.